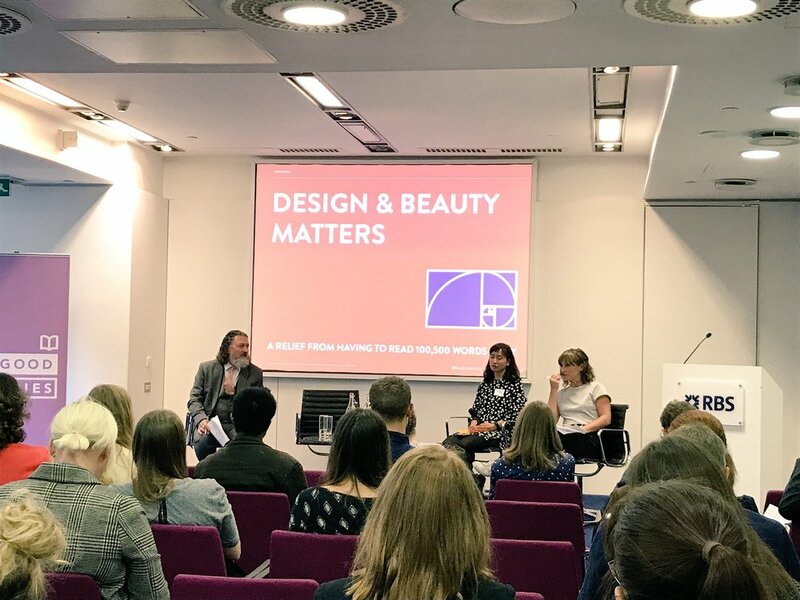 I was invited to speak at the Good Stories 2017 conference yesterday, which was produced by Matter & Co, Pioneers Post and SE100, and held at 250 Bishopsgate in London. During the conference, I met with social entrepreneurs from across the UK, who shared some great insights as to how stories can transform the way you communicate your brand. They also gave some wonderful advice on how to use social media and on how best to get your local MPs onboard. Shortly after the first break, I took part in the Building Brilliant Brands panel with Claire Pearson from Belu Water. It was really interesting to hear about Belu's journey from its origin through to its recent successful expansion. Claire also spoke about the importance of Belu's brand in the company's success in the high-end hotel and catering sector. Next up, it was my turn. I gave some branding tips based on my experience. I have shared the slides below for those of you who were not able to attend the conference. Why is branding useful for social enterprises? But… Good is not good enough. We have been fortunate to meet some really impressive social entrepreneurs doing wonderful work but, as we tell them in our workshops and clinics, having a great social message or story is not enough to succeed as a brand and business. You need to ensure that the quality, service, experience, design and other needs-based aspects are as well-considered, as ultimately the business has to serve the needs of its customers. There must be a balance between the social message and the experience of the product or service itself. It is more powerful to inspire people with positive stories and the potential for change than to make them feel guilty about social issues or the fearof inaction. There is a possibility that you may make people feel guilty enough to act once, if that is your brand's message, but your customers will not keep engaging and will not share their experience. Telling stories about the brand makes it more memorable and shareable. Stories are the easiest way for people to remember information. It brings the people out from behind the brand and it bridges the gap between customers and the brand. In this day and age, visual culture is very important. You are bombarded by over 100,000 words a day on the news and through emails, social media and ads. People look to visual culture and to sites such as Instagram for some light relief. This means that brands need to really think about how they present themselves visually. Also, the visual identity is the face of the brand and if it not memorable or appealing this will reflect poorly on the brand. We had a great day at the Good Stories 2017 conference and it was nice to meet so many inspirational people. A special thanks to Matter&Co.